Nice host Rennes in the French Ligue 1 with the visitors tipped to do well (AFP/Getty Images). Nice face a revitalised Rennes side at the Allianz Riviera Stadium in Ligue 1 on Friday evening. The southern side were incredibly lucky at Lyon while Rennes are on the way up after destroying Bordeaux last time out. Patrick Vieira’s reign at Nice couldn’t have gotten off to a worst start. Two home defeats against Reims and Dijon either side of 1-1 away draw at Caen didn’t inspire much confidence and their previous match at Lyon should be seen for what it was. The result saw Nice win 1-0 courtesy of a deflected Allan Saint-Maximin strike, but Vieira’s men were outplayed and registered just one shot on target against nine from Lyon. Only some wasteful finishing and a man of the match performance from goalkeeper Walter Benítez kept them in it. 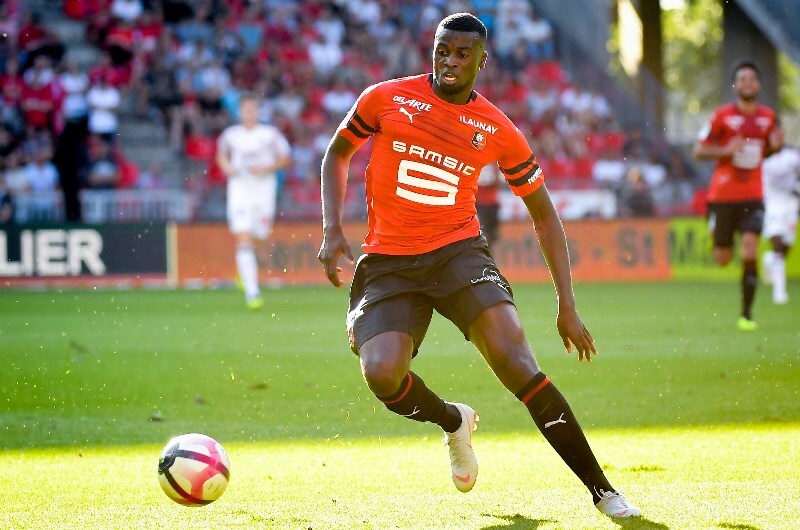 The summer departures of Jean Michaël Seri and Alassane Pléa are significant and it remains to be seen if Nice can fill the void. Allan Saint-Maximin has looked lively so far but Mario Balotelli wasn't included in the squad as he tries to regain fitness and form. The Brittany club started their Ligue 1 season with a deserved 3-1 loss at Lille but have improved rapidly since then. A hard fought 1-0 win against Angers and a 2-2 draw at Marseille was followed by a one sided victory against Bordeaux. Rennes came out firing and could have been 4-0 up within 20 minutes, but settled for a 2-0 lead through two quick fire goals to Benjamin André and Ramy Bensebaini who both headed in from corners. Sabri Lamouchi’s side still have a lot of improvement in them. Striker Jordan Siebatcheu hasn’t convinced yet with M'Baye Niang on loan from Torino waiting for his chance. Hatem Ben Arfa recently joined the club, if he can get back to his best Rennes have a real weapon in their ranks. This has been an evenly matched battle over the years with both clubs having an almost identical home record. Last season Nice won 1-0 in Rennes courtesy of Mario Balotelli and the match in Rennes finished 1-1 with Alassane Pléa’s opener cancelled out by Benjamin Bourigeaud. Nice don’t appear to have the strongest midfield or defence which is limiting their ability to control games. Balotelli and Saint-Maximin are the standout players but Nice have to start looking like they can keep a clean sheet. Rennes have strength in central midfield with Benjamin Bourigeaud and Benjamin André sitting behind Clément Grenier who could be a sharp improver this season. I expect their strong central midfield to keep them competitive this season. 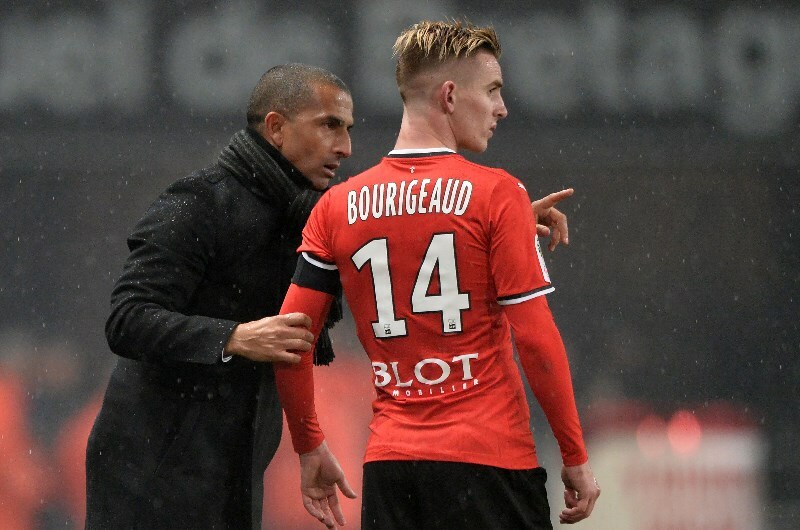 Rennes' midfielder Benjamin Bourigeaud provided 10 goals and 7 assists in Ligue 1 last season (AFP/Getty Images). Nice have lost both home games to start the Ligue 1 season. Nice had 1 shot on target against Lyon on Matchday 4 (Ligue 1). There have been 3 draws in the last 6 contests between Nice and Rennes (All competitions). Rennes have won 5 and drawn 3 of their last 9 matches (Ligue 1). Rennes have drawn 3 of their last 5 away matches (Ligue 1). Nice were far from convincing at Lyon and fortunate not to lose the match. Patrick Vieira’s side can’t be trusted at this stage. Rennes are on the improve with Niang and Ben Arfa to make Lamouchi’s side even stronger. There is value on the visitors here.